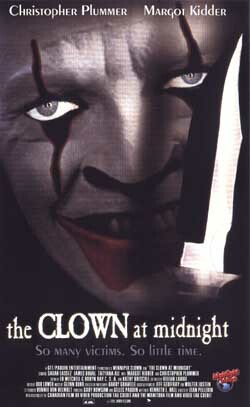 Plot: Four teens are locked in an old opera house with a psycho dressed as a clown. Creepy and eerie from start to finish with a nice setting for the action to take place and featuring compenent direction and good performances. Last edited by VampyrA on Sun Mar 27, 2005 11:54 am, edited 2 times in total. Can we please have some screens for this? clown... reminds me s.king's IT... wich one is better? if so I will try to add it to shared at the weekend to help you slightly, I have so many on release atm & a few to reload.